NEW YORK -- U.S. Sen. Charles Schumer is concerned about airlines charging passengers for the ability to use space in the overhead bin. 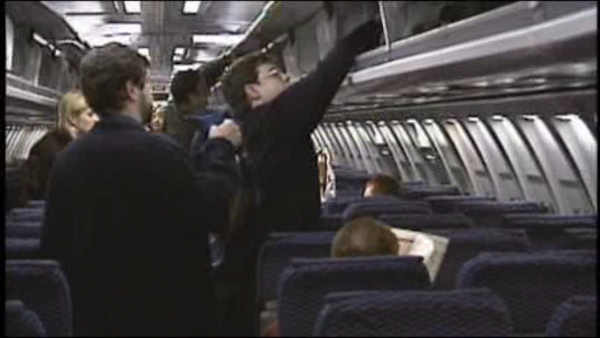 The New York Democrat says passengers who purchase new "basic" fares offered by United Airlines and American Airlines won't be able to store carry-on baggage in the overhead bins. He says he worries other airlines will follow suit and that one day all passengers might have to pay extra if they want to stow a suitcase overhead. Schumer said Sunday that all passengers should be allowed to use the overhead bins without extra charges. The airlines argue that the new "basic" fares are simply a way to give passengers a cheaper alternative to standard fares, which come with overhead bin privileges.